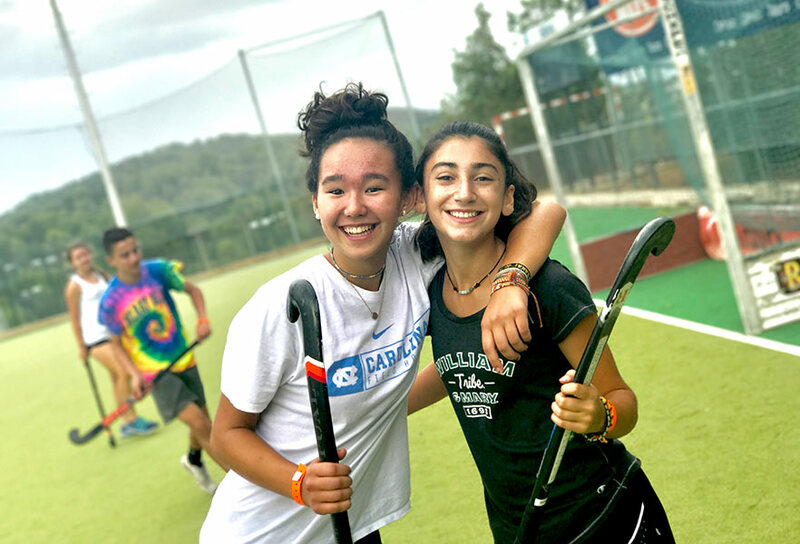 A pre-college field hockey program designed for all high school age athletes. 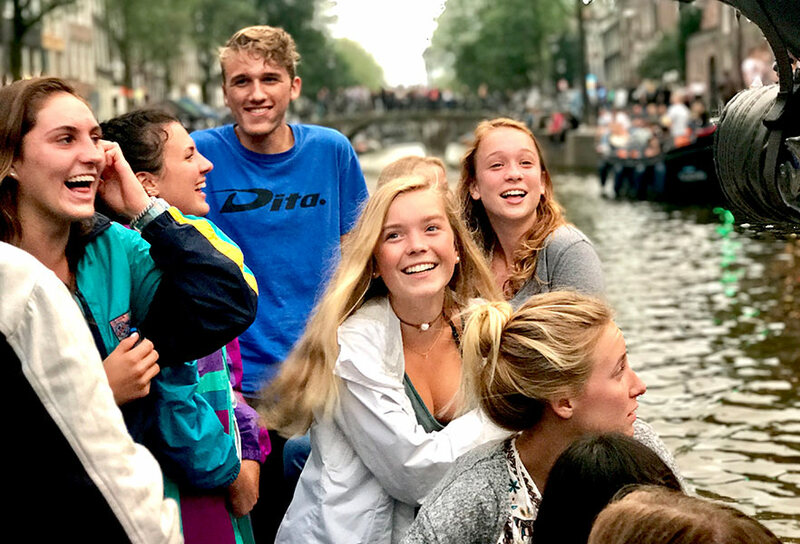 Travel and train in Holland with U.S. college coaches. “The program is technically enhanced and includes strong, competitive matches. Prepare to be tested. 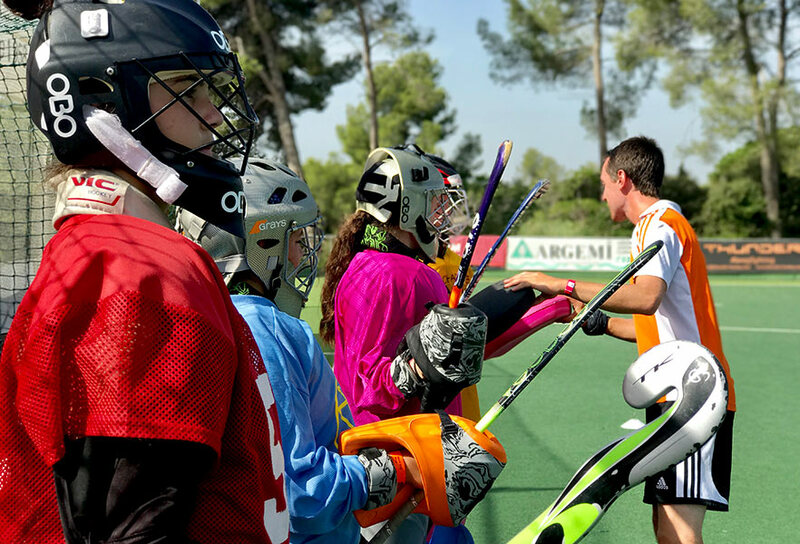 “Training is led by the same staff who coach the “Elite” Dutch hockey camp. In addition to U.S. college coaches who will be on the field with you. We have a special guest scheduled to join us, KNHB/FIH coach, Thomas Tichelman (best-of-the-best). Awesome and unique. “You’ll stay at a 4-star sport hotel right next to our training facility and club. Serious luxury, while delivering serious hockey. The best! The College Ride Tour is modeled on the nationally acclaimed Dutch Training Tour, but ads a unique component that includes college coaching. 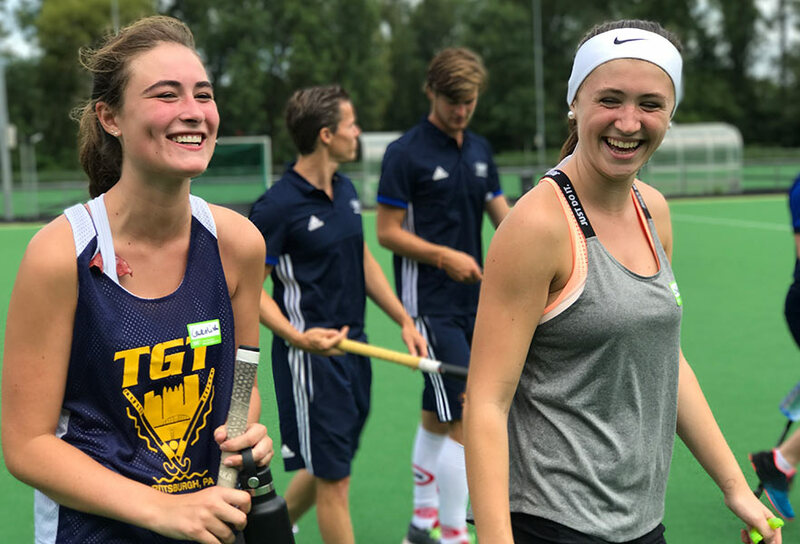 Top Dutch Hockey; an international training experience, hand-in-hand with U.S. collegiate coaches who represent highly prestigious institutions. Over 3000 teen athletes have successfully participated in this program since our inception in 1989. Best part, you only travel with 36 players. Small and intimate training. This program accommodates all hockey styles, because the training is geared to the individual, not the group. Small clinic size allows for extreme one-on-one attention to your game. Designed to make you stand out, both in Holland and your return home. A high travel standard will meet your most discerning needs. Our room, bed, bath and meals are in a first-class sport hotel, right next to our training club and facility in Amsterdam. Serious luxury, while delivering serious hockey. Consider EuroTour your international “club”. Travel, train & shine with us for 8 rewarding days, returning home ready to crush it. Looks great on your college resume too. 5-Star Hockey and 5-Star Travel. The best! Your program begins with a late afternoon airline check–in. Athletes from the USA will meet their tour members, our staff and college coaches at the designated departing airport in the metro New York area airport before boarding a scheduled airline for an overnight flight. Players in Europe that don’t require a flight – will meet us the next day at our hotel, when you start your program with us on Day 2. EuroTour takes care of everything and all details are provided to you well in advance of take-off. We do all the heavy lifting while you enjoy. First thing off the plane with our group of U.S. players and we’re off to your accommodations to put your thing away. A 4-star sport hotel, the same one the national teams stay in when they play against the Dutch. Soon you’re off on a drive through the countryside in our private bus to an open air, “living” museum. Here, visit windmills, see wooden shoes made and try Dutch pancakes. 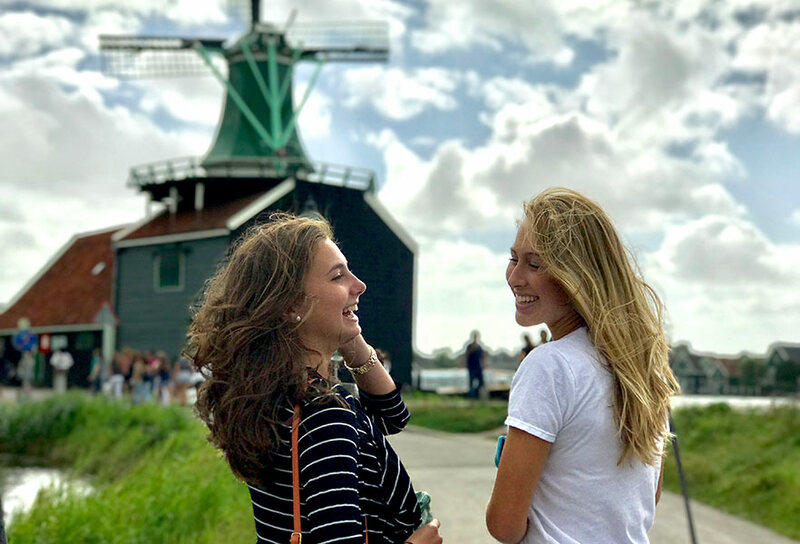 Today you acclimate to your new surroundings, bonding with your new friends – in Holland! What you’ve been waiting for… Today you start your Dutch Training with Thomas Tichleman’s Dutch coaching staff. Absolutely the ultimate hockey experience for every hockey-head. 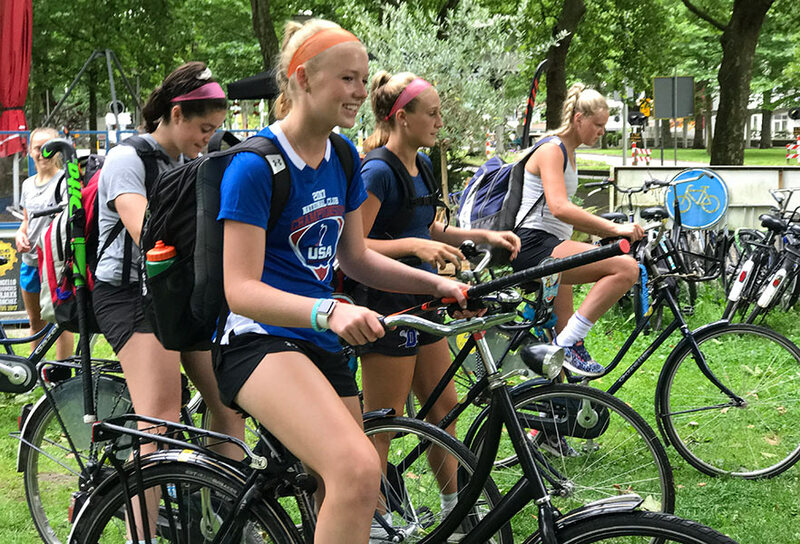 After practice you ride your bike through the Amstel Forest to our villa at the hotel where you can relax and enjoy a Dutch dinner with your new friends and teammates. Today you attend your second full-day of Dutch Training. The coaching is beyond exceptional. Tonight you play in your 1st international match against Dutch players. Here in the USA, we cannot duplicate the ability, speed and action of Europe’s teen hockey players. You can learn as much from competing against them as you can from your Dutch coaches. Today you will attend your third full-day of Dutch Training. Then it’s time to test your skills and apply all that you have learned. Tonight you will play in your 2nd international match. Your Dutch trainers stay with you during match play to help perfect your game. Imagine where your game can go with this level of training and attention to details within these private sessions. Today you need a break from this intense hockey experience. That’s good because there’s still more to see and do in Holland. This morning you’re off to Amsterdam where you visit the Anne Frank Museum and have time for a little shopping in Dutch boutiques, this afternoon you’ll visit the Van Gogh Museum. Tonight you’ll be escorted on a classic boat ride along the narrow canals where you glide through the waterways in our private custom launch – seeing Amsterdam lit at night! Now you are re-energized… it’s time to prepare for your last day of Dutch training. Today is your last full-day of top training with your Dutch coaches, tonight your last international game. It’s the most amazing hockey you have experienced and now you are seeing your game in a new light. There’s more; tonight you say good-bye to your Dutch friends at your farewell ceremony followed by dinner. This morning you bid farewell to Europe when you depart Holland for home. Now it’s time to show your friends, competitors and prospective college coaches all you have learned. Private training, competitive games, exceptional sightseeing – all while staying at our 4-star sport & spa villa and hotel next to our training pitch and club. We will all meet for the first time as a group at the airport before check-in. All logistics will be covered by the Sport EuroTour staff team who travels with tour members 24/7. Nothing is left to chance. No need to worry about where to find breakfast, it will be waiting for you. Heady and wholesome. Choice is nice, and you have that on the three days you are out-and-about sightseeing. Don’t worry, our hotel knows what American kids like to eat – including a healthy range of good food for the growing athlete. We do a lot of great sightseeing too – all admissions are included, from the Ann Frank House to our private canal cruise. 4-Full-Days of Private Dutch Clinics - The Best! This is it. The best of the best in Field hockey training. No one delivers this in-depth design like our Dutch partners do. All hockey is on water-based turf. The finest! Hard for most, easy for EuroTour. In Summer, clubs are closed, on vacation. But we have you covered with our ongoing Dutch camps. Another EuroTour exclusive. You’ll stay at a 4-sar Sport Hotel right next to our club and fields. No better location. A big part of Dutch culture is their bicycle. And you’ll fit right in as you take the short ride in the forest from hotel to the club. When sightseeing or moving to and from the airport, you’ll be chauffeured with your U.S. teammates in our private motor coach. You’ll want to bring about $150 with you. Not paid to us, but for drinks, snacks and souvenirs. Never extra charges from us.